Planning to visit Nepal, apply Nepal visa online. 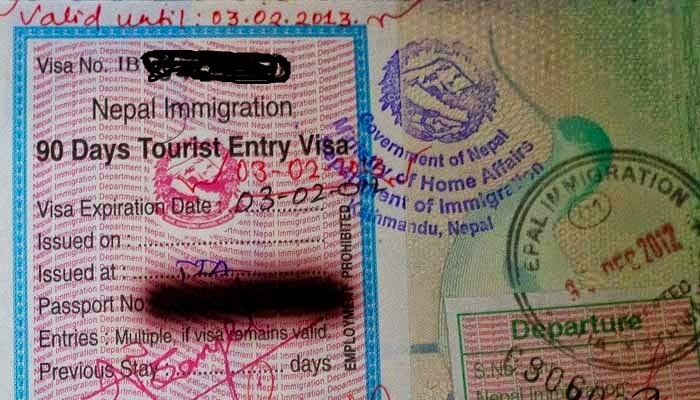 Department Of Immigration Nepal has started accepting online application for visa. 1. You must have your valid passport at hand. Please use the passport with which you have traveled to Nepal or intends to travel to Nepal. 2. You must have a digital file of your recent color photograph (size 1.5 inch by 1.5 inch) at hand for uploading the photograph on the application. 3. You must have your permanent mailing address of your country of residence and detail address in Nepal. 4. You must have your telephone numbers both land line and mobile (cell). 5. You must have email address at hand. 6. The application submitted online is in the system for 15 days. After 15 days the submitted application is automatically deleted from the system. 7. On successful submission of the application you will receive receipt immediately through your email. 8. You have to print the receipt and keep it to produce before the Immigration Authority. 9. For you convenience the deadline for contacting the Immigration Authority is mentioned in the receipt. 10. The receipt also reminds you about the documents you have to produce before the Immigration Authority. 11. You have to contact the Immigration Authority within 15 days of the submission of application. 12. You have to contact proper Immigration Authority with the receipt and documents as mentioned in the receipt together with necessary fee.